Meat, pork with veal and rice cutlets. Recipes from Russia. Meat, pork with veal and rice cutlets. 1/2 cup rice, boiled, drained. salt, ground dried dill, celery, ground black and red pepper to taste. 1 - 2 egg, beaten. 1 onion, chopped very finely. 1. Blend all ingredients, flavour the mixture. Chill. 2. 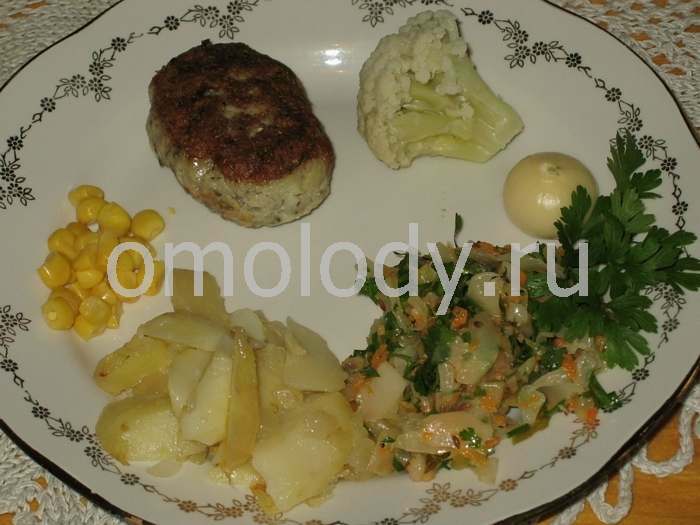 Form into cutlets or cut into small steak-shaped pieces, dip into bread crumbs and roll in crumbs. Brown in hot oil. Serve hot with vegetables.